First, we’ve recently hired two full-time experienced professors with excellent teaching records and professional backgrounds. These hires occurred because of a concerted effort on my part to restore these lines and to be able to meet the salary requirements to attract people of their caliber. Second, Wenmouth Williams, a full professor in the TV-Radio department, has graciously agreed to serve as interim chair of the journalism department; this frees up current journalism faculty whose student evaluations have been outstanding to put their full-time effort into teaching. Dr. Williams has also been teaching course sections for journalism majors, and he is one of our most experienced faculty members. Third, although the article mentions Jeff Cohen as a great teacher, it fails to mention the fact the journalism professor Mead Loop was one of only five professors at Ithaca College to have earned the Faculty Excellence Award last year, which recognizes outstanding research, teaching, and service. Professor Loop was also the only professor named by former dean Dianne Lynch as a “master teacher” in the Park School. Fourth, I was able to argue for one more faculty line in the journalism department beginning next fall, and I announced this fact at my “State of the School” open meeting in February. Had Ms. Cummings sought to interview me or other members of the journalism department, she might have become more aware of these initiatives and have presented a very different viewpoint. This article somehow implies that the Park administration was unaware of or unresponsive to student concerns about teaching effectiveness, and I take exception to this. Nothing is more important to me than recruiting, retaining, and mentoring an exceptional faculty, and I have spent a great deal of my own time and political capital addressing the needs of the journalism department and successfully arguing for three new full-time positions within two years. I support the right of students to express their views, and I regret that Ms. Cummings experienced what she felt was inadequate teaching in some courses. However, I am very unhappy that this opinion piece gives the impression of a generally ineffective journalism faculty (which is not the case — because I read each and every student evaluation for every course) and an indifferent administration. This doesn’t help us in attracting great students (especially at the sensitive time of admissions events for accepted students) or great faculty (as we are poised to launch a new search). 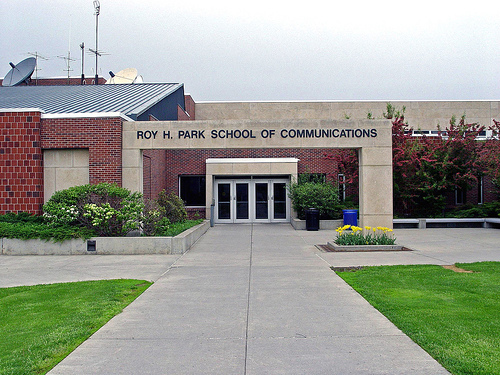 Moreover, it diminishes the reputation of the Park School, which follows all of us as alumni throughout our future careers and for which we have all invested significant time and money.